Ecommerce marketers like yourselves have become accustomed to discussing cool ways to wish your subscriber base a happy birthday; but how often does conversation venture into the topic of shouting about your own, company-based milestones? In most cases, the answer is: hardly ever. But why is this? 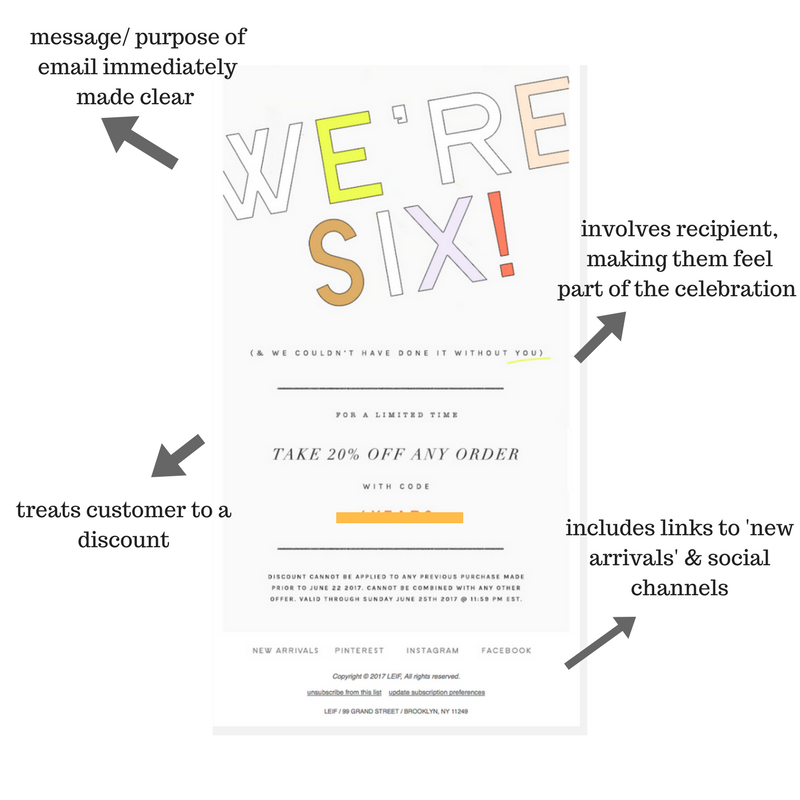 Celebrating your brand's birthday is a brilliant opportunity to connect with your customers and say thank you for the part they've played in your journey so far. 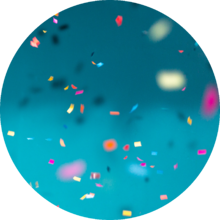 … And do you know what else is great about anniversary emails? They’re straightforward to implement. All you need to do is set up a broadcast campaign using a customer marketing platform (like Ometria), and send to all of the contacts on your list that you think will be most interested (based on their interaction with your marketing messages in the past). 🗒️ N.b. 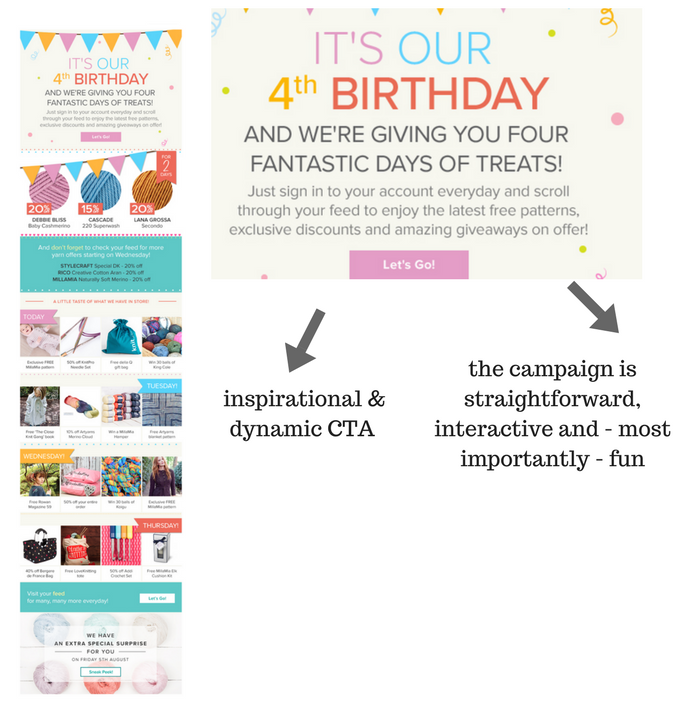 You can also factor anniversary messages into your automated campaigns, using a spot of dynamic content. Subject: It's our birthday! Enjoy 4 days of AMAZING deals! 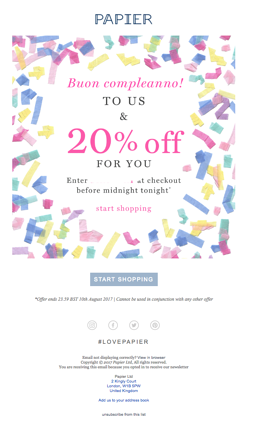 Anniversary emails are an easy win, not matter how old your brand is, so we recommend implementing them pronto if you haven’t already. Easy to set up and applicable to pretty much everyone, they don’t have to depend on having access to a wealth of subscriber data. That said, to take your anniversary emails up a notch, we always recommend tailoring your messages where possible.